Storey Publishing, LLC, 9781603424875, 144pp. Why did the chicken cross the road? To get a copy of Fowl Play! This freshly hatched collection of chicken-centric games and puzzles will have you clucking and cackling for hours on end. 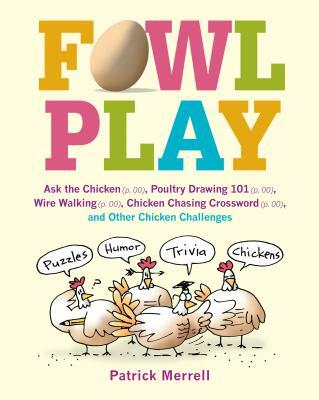 Along with poultry-themed word searches, crosswords, mazes, and math challenges, noted puzzle creator Patrick Merrell also includes cartoons, jokes, and plenty of chicken trivia. Get ready for hours of Grade A fun that will appeal to fowl fanciers of all ages.